Owing to the world’s interest over the case of Nnamdi Kanu, the leader of the Indigenous People Of Biafra,IPOB, and the immense pressure from the Organization of Emerging African States (OEAS), Human Right’s Writers Association Of Nigeria (HURIWA), Amnesty International (AI), IPOB, Heads of States and other rights bodies, on the Nigerian government to release Nnamdi Kanu, the leader of IPOB; Muhammadu Buhari, the president of the federal republic of Nigeria, on 26th September 2016, declared a media blackout over Nnamdi Kanu’s case which was observed by all the media houses in Nigeria and even beyond. Media houses who were either not aware of this development or had decided to disregard the instruction, were on the 26th of September 2016 denied access to the High Court at Abuja. The heavily armed federal guard/DSS at the court entrance quashed every effort made to cover the court proceedings in the routine way by the journalists present. To buttress this, contrary to the regular mode of reportage on Nnamdi Kanu’s case by the Nigerian media houses, no print media, television station nor radio station in Nigeria publicized this court case prior 26th September 2016. It was deliberately kept away from the public as the Nigerian government conducted the court proceedings in what appeared more like a secret trial. This MEDIA BLACKOUT/SECRET TRIAL was first experimented by the Nigerian government on the 19th of October 2015, when Nnamdi Kanu was first arraigned in court, at the Magistrate Court in Wuse; being charged for Criminal conspiracy, Managing & Belonging to Unlawful Society and Criminal Intimidation contrary to section 97, 97b and 397 of the Penal Code (applicable in Northern Nigeria). The court granted him bail with stringent conditions including getting a civil servant of Grade 16 that has a landed property within Abuja Metropolis and in the sum of 10 million naira as his bail surety. The bail conditions, though as stringent as it could be, was met, yet he was detained at Buhari’s wish and order. Recall also that the Nigerian government had on the 19th of February 2016, appealed to the court for a masked witness against Nnamdi Kanu. This was turned down by the judge, Justice John Tsoho but was again on the 7th of March 2016, overruled by the same judge, in the same court and over the same case. In a proper legal procedure, open justice and transparency requires that public see and hear trials as they happen in real time, televising trials as they happen, publishing the content and documents of court files, providing transcripts of statements, making past decision available for review, publishing decisions and giving journalists full access to files so they can report what happens. Journalists too, must endeavour to make court proceedings very understandable to the public. These are fundamental rights for both the prosecution and defence parties. To the prosecution, the defence and the public, openness erases the impression that any ruling passed by the judge is biased, a mistake or that a case might have to be re-tried because of a subsequent sanction of contempt. It encourages proper administration of justice and has proven to be the surest of all guards against improbity. 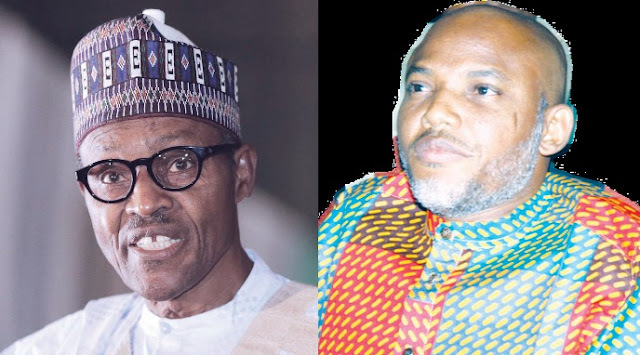 As Buhari’s violation of human rights and expression of free speech continues to tilt Nnamdi Kanu’s case much closer to a secret trail, anarchy and dictatorship has become a more influencing factor to court proceedings and rulings. As a result, Biafrans have lost every confidence that the Nigerian court managed by the tyrant, Buhari, will produce any legal justice in this case. IPOB is only advocating for the rule of law and justice to prevail in this kind of situation. In a democratic government, the court acts as a place for settling disputes and disobedience to court orders incriminates the offender and makes a person or organisation guilty of ‘’contempt of court’’, in which case, the judge can exert his strongest power to impose sanctions for acts that disrupt the court's normal process. The media blackout in court on the 26th of September 2016 has proved that the Nigerian government lacks every exhibit to convict Nnamdi Kanu, it is a tool for injustice, continued incarceration, human right abuse and perversion of truth. Nigeria has employed media blackout as a useful drape to cover the inconvenient and a monumental embarrassment Nnamdi Kanu’s case poses. IPOB hereby warns that extending these traits to Nnamdi Kanu’s case will further escalate the already tensed situation in Nigeria. We entreat Amnesty International, United Nations, Human Rights Watch, Human Rights groups and the international communities to keep this African dictator, on check.